Tell me what ya think guys. A deck truly befitting of a lardarse like me. Your deck has almost entirely all the wrong balance in terms of card choices or how many of them need to be ran. The only ones you got right were scales, piercer, trumpeter and flutist the rest are ran at waaaay too high copies. I recommend cutting down on a lot of them and replacing them with generic cards which help the deck maintain speed or recover more easily. The 1 breakthrough skill is worthless, if you are planning on running a single spell or trap I'd recommend berserker soul as a game ender. If you DO want to play spells and traps in the deck you should be running at least 2 copies of the to make it worth running and drawing into them, I would recommend running the phantom knight traps so that your graveyard can be relatively empty almost all the time. Your build really seems like a mash of the beatdown samurai style and the synchro style which makes it VERY inconsistant and causes a lot of brick hands. So try to find a style that suits you. That deck is pretty bad, I'm sorry. Most of the cards ran in SHS are not in your deck. Many of these cards are from the first set, and they are (mostly) unused now. The deck focuses on aggressive defense and control for setup, and potentially can OTK with massive damage and spams Synchros. 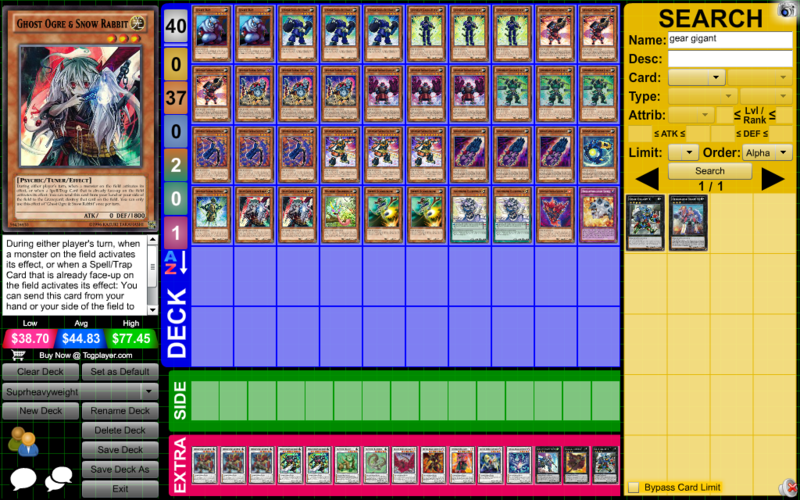 This deck also steels opponent's background, which this deck displays very little potential to do. The ratios are all off and it looks like you literally spammed to add the last couple SHS that looked like they were useful to three. Instead of Eccentrick, add Galaxy Cylone. Breakthrough isn't used much either. Birdman is a good choice to make, and take out scarecrow. Just delete the deck and start over. Try watching videos on how the deck's played or something then build your own.